Evan Williams has quite a range of bourbon in their stable; their Extra (also known as Evan Williams Black) is part of their core. 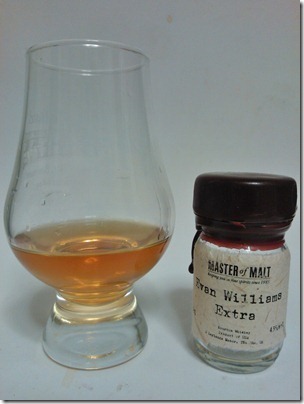 So here we have Evan Williams Extra, a dram that sounds more Welsh than Kentucky! It’s a relatively pale looking bourbon with no age statement, which leads me to suspect it’s not been long in the barrel. The nose is a little abrasive; buckets and buckets of alcohol despite only being 43% ABV. Hidden underneath that are aromas of vanilla fudge and just a hint of the wood. Water brings those oak notes right out, along with a fresh, almost sharp green apple tang. In the mouth, another huge alcohol hit overwhelms the sweetness; once that goes away the harshness of the grain comes through and unfortunately washes out those tantalising honey notes. With water, that alcohol is held in check and interestingly so is the roughness – leaving you with a sweet honey and caramel, with a very nice pepper finish. 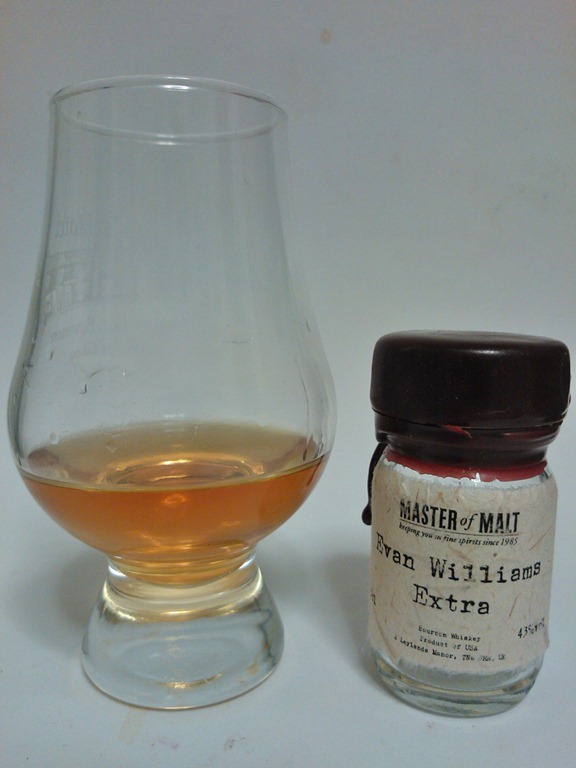 Overall, it’s a little rough and unbalanced straight but with a splash of water it opens out and becomes a very intriguing, drinkable young bourbon.